Inviting a caregiver into your home on a regular basis carries a lot of uncertainty for many seniors. Will the person respect your privacy? Will they be friendly? Will they do things differently from the way you prefer them? 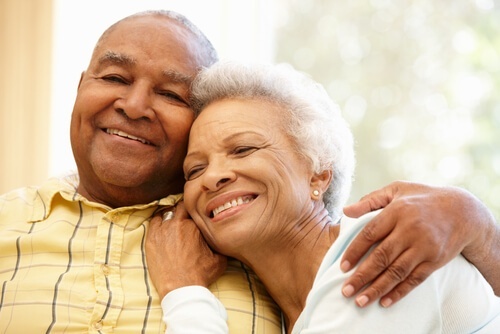 Adjusting to a new person in your home can be a stressful, uncomfortable time, but it can also be one of the most beneficial decisions you can make as you care for your spouse. If your spouse needs extra care, assistance with mobility, or help dressing and bathing, these responsibilities can make it difficult to keep up with your regular household routines. An in-home caregiver relieves much of the stress by helping you with daily responsibilities so you and your spouse can continue to enjoy living at home without feeling overwhelmed. As you prepare to take that step, consider how you can help the caregiver serve your family as efficiently as possible by making your home both functional and welcoming. For a professional caregiver, the client’s home is their workplace. That means they will need a few basic amenities and supplies in order to perform their responsibilities. Let’s take a look at how you can make your home safe and reasonably comfortable for your caregiver. Temperature—Everyone prefers different ambient temperatures, but you’ll need to make sure you are not asking your caregiver to work in an unreasonable environment. Frosty Ohio winters make a heated home a necessity, and in the height of summer you’ll need to provide a reasonably comfortable, air-conditioned environment. Pets—Your beloved dog may be king of the castle, but pets sometimes don’t welcome strangers into their domicile. Putting certain dogs in a crate or safe place while the caregiver is in your home will ensure both the safety of your caregiver and reduced stress for the dog and your family. Basic Amenities—Provide access to clean water and a clean bathroom for your caregiver to use while assisting you. It’s preferable that the caregiver be permitted to use a bathroom in your home, both for convenience and to be sure they don’t have to be away from the care environment for longer than necessary. Overnight Needs—If the caregiver will be staying overnight where sleep is permitted, provide a private place to sleep, extra bedding, and a place to store an overnight bag. Security—While the vast majority of caregivers will be very conscientious while in your home, for legal reasons it’s always best to keep important documents and sensitive information in a secure place. You may also want to make arrangements for someone else to receive your mail or have it sent to a P.O. box. Rest—Be sure your caregiver has a place to sit down and rest between tasks, and also a chair they can sit in while helping your spouse with meals or other needs. Reasonable breaks are an important part of creating a positive work environment. Organization—Walk your caregiver through your home and explain where they can find the things they need to do their work. It may also help to label shelves in your pantry or linen closet so the caregiver can find what they need and put items back where they belong. Caregivers do not usually bring supplies with them, so if you will be receiving assistance with cleaning, laundry, or meal preparation you will need to provide supplies yourself. Items to consider may include dish soap, laundry detergent, cleansers and rags for light housework, and supplies such as gloves, soap, and towels. Make your home as clean and safe as possible. Caregivers should be able to work in a clean, healthy environment. Clear walkways and address potential safety hazards by installing smoke detectors, carbon monoxide detectors, and grab bars for the bathroom. Caregivers are responsible for providing light housekeeping but heavy cleaning should be assigned to a professional cleaning company. Let them help you. It may be difficult to accept the need for help, but remember that your caregiver is there to relieve stress and help you maintain your independence. Give them the freedom to do their job without conflict. You can prepare your spouse for the extra assistance as well by including them in the discussion ahead of time, talking them through expectations, and inviting their input about needs and care plans. Be friendly! Treat your caregiver with respect and you will both have a better experience. Caregivers are not obligated to continue working in an environment where they are not treated well, and unfriendly clients often experience high turnover. By contrast, seniors who build positive relationships with their caregivers and who appreciate them often find that they become good friends. 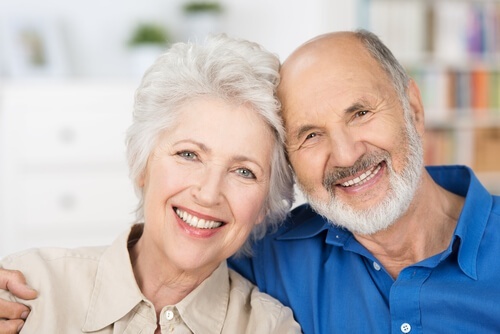 We understand that choosing a caregiver for your spouse can be a stressful, uncertain process. We are here to help you as you explore your options and make decisions about your care needs. Call us today to get answers to your questions and learn more about your options for in-home care.